Release Date: TNPSC is conducted once a year and the notification for the Civil Judge post was released on 9th April 2018 and for the post of Agricultural Officer it was released on 3rd May 2018. Application Window: The Application Form for the exam of TNPSC 2019 was available from 3rd May 2019 to 2nd June 2019 for the post of Agricultural Officer and from 9th April 2018 to 7th May 2018 for the post of Civil Judge. 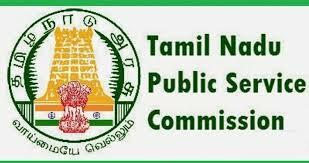 Examination Date: TNPSC 2019 exam for the post of Civil Judge will be conducted on 9th June 2018 and exam for the post of Agricultural Officer will be conducted on 14th July 2019.